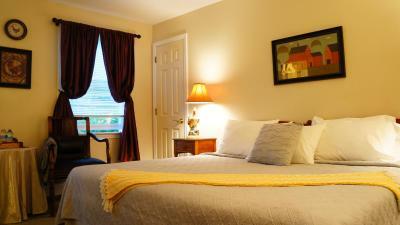 Lock in a great price for Green River Inn – rated 9.6 by recent guests! Stayed over Presidet's Day weekens for a ski holiday. Although we arrived on the late side, owners Sophie and her husband Jim were very accomodating and provided a warm welcome. 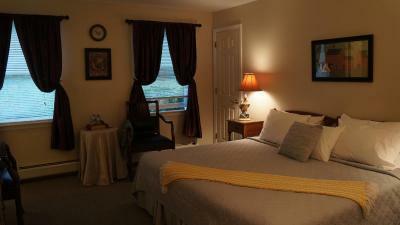 The inn was immaculately kept and the rooms were very spacious. Sophie provided a delicious home-cooked breakfast each morning in addition to a European inspired continental breakfast. Plenty of parking on site. Lovely fireplace and lots of common indoor and outdoor recreational space. 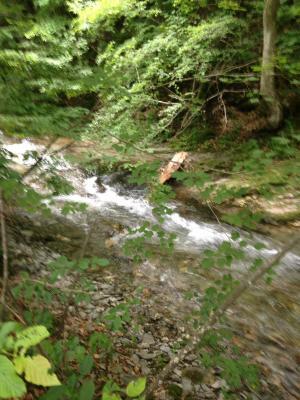 The sound of the nearby brook/river was very calming. Overall an amazing experience. We will be back again soon. Highly recommend to anyone looking to visit southern Vermont. The location was nice and quiet with the river running right past the building . Rooms were very nice and clean . There is very cozy inviting conman areas with a fireplace and lots of comfortable place to sit and relax James and Sophie were extremely nice. The breakfast was was great with homemade dishes made by Sophie. We will definitely be staying here again . If your looking for an nice quiet place away from mIn street and the big ski lodge lane this is the place . sophie was amazing and helped us with locations to visit. breakfast was delicious; would recommend to anyone looking for a place to stay. Our stay was wonderful. Great breakfast and very comfortable. The owner was very nice and friendly! Beautiful property both inside and out, peaceful and relaxing, the views are ... a small stream which runs next to the inn and mountain views in the back. 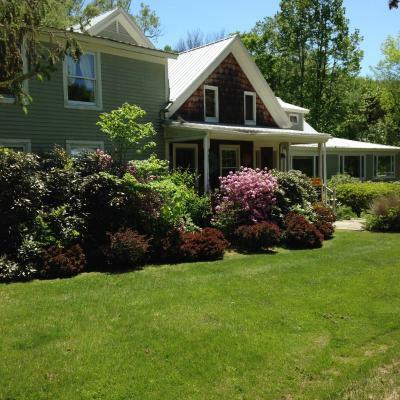 A huge yard surrounds the inn which is on a quiet back road. The owners are very friendly and accommodating hosts. It was a lovely place! Comfort , set on the river! Hospitality at its best ! The Inn Keepers are the most wonderful people. This is our favorite Place to stay in Vermont. They have a great breakfast. It was country beautiful. The outside grounds were immaculate. Our bedroom was spacious and nicely appointed. Our bed incredibly comfortable. That there was an extra room available as my plans changed and more people were with me. Featuring a garden and a terrace, Green River Inn is located in Sandgate. The inn has a shared lounge. Free WiFi is accessible to all guests, while some rooms here will provide you with a balcony. Guests at the inn will be able to enjoy activities in and around Sandgate, like hiking. 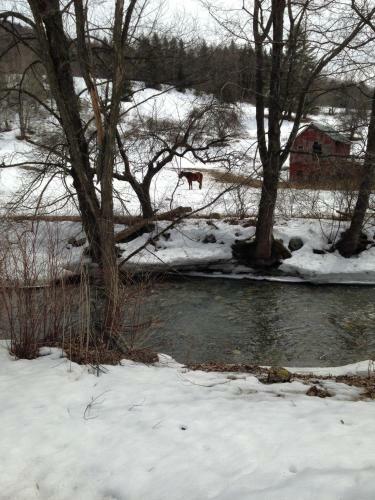 Manchester is 15 miles from Green River Inn. 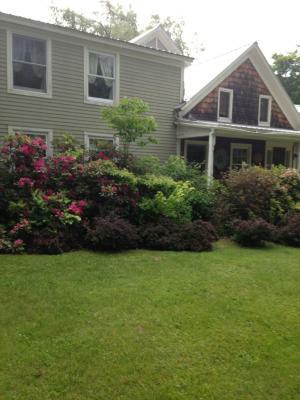 The nearest airport is Albany International Airport, 52 miles from the accommodation. 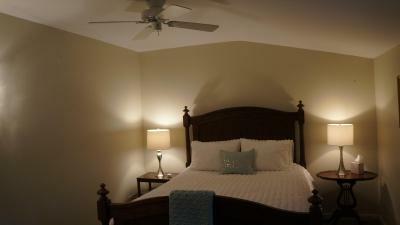 This property also has one of the top-rated locations in Sandgate! Guests are happier about it compared to other properties in the area. This property is also rated for the best value in Sandgate! Guests are getting more for their money when compared to other properties in this city. When would you like to stay at Green River Inn? This double room features a balcony, spa bath and bathrobe. House Rules Green River Inn takes special requests – add in the next step! Green River Inn accepts these cards and reserves the right to temporarily hold an amount prior to arrival. 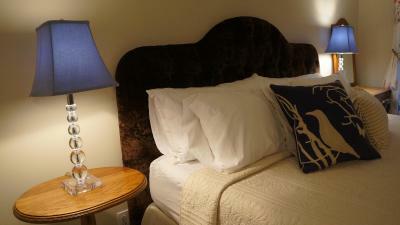 We loved absolutely everything about our stay at the Green River Inn. 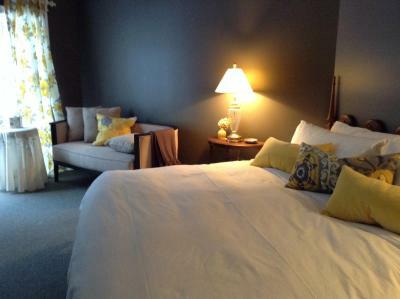 The room was clean, beautifully decorated and we felt at home instantly. Jim and Sophia are wonderful hosts. Breakfast was otherworldly. I don't know if I've ever eaten anything so delicious. We are absolutely smitten by this Inn and we can't wait to come back. This place was a sheer joy! Tucked away in a secret valley surrounded by the most beautiful scenery. You feel like you've walked into a Fairy Tale. The inn is not 'luxury' or posh, but somehow it is perfect! We loved this place so much more than the fancier places we stayed in New York. 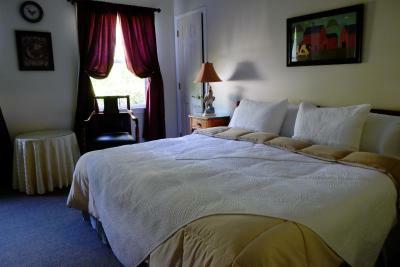 The rooms are spotlessly neat and clean and Sophia who owns the place is the nicest person you could hope to meet. It is charming and cosy and the breakfast is wonderful. Plug on hot tub did not hold water. Bed was very firm. No place to get ice. Breakfast different - very good. Location was excellent. Beautiful view. Bed was very firm. Host was lovely. It was in the woods and sat.nav. lost satellite contact. Got lost .needs to be better signposted. Breakfast was very good. Hostess very pleasant. The location was stunning well of the beaten track and just what we wanted after spending the last 5 days in the city. Excellent home cooked Breakfast, using local produce. Genial host. Comfortable interior. Peaceful haven. Delivered as promised, quiet country excellence. Quiet rooms. Fantastic breakfast. Very friendly and helpful staff.